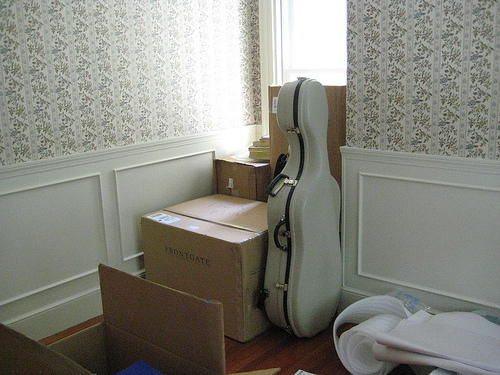 Should you pay the movers to pack your stuff for you when you are planning on moving? This is something that might seem very simple on the surface to decide, but it’s actually more complicated than that. If you don’t think much of it, you will quickly conclude that paying for packing is not always worth it. In the minds of many, packing is a simple process, which only involves you putting all your belongings in several boxes and then loading them onto a truck. Most people usually find out (often too late) that this is not as simple as it sounds, and that packing is a bit more complicated than people give it credit for. The first thing that will make packing complex is the fact that you often have to spend a lot of energy doing it. You have to assess just how much stuff you have, get the appropriate number of boxes and then start packing. If you are alone or have household members who might be of limited help to you, you will definitely find this to be very exhausting. This is especially so if it turns out that you also need to keep going to the store to get more packaging material because of difficulty in estimating how much of it you need. You will also realize that there are some items that are usually not easy to pack under normal circumstances. Take a TV, for instance. If you have lost the original packaging for a TV, it means that you will need to find an alternative way to do it. Finding a box that can fit it perfectly might be difficult unless you are willing to go out of your way to buy a custom made box. Hiring professional moving agencies to provide the service will help you avoid many of the difficulties associated above. One of the major ways in which they can help is by doing a quick assessment of what your needs are, so that they can then determine just how much packing material to get for you. This goes a long way in reducing the amount of time and money it takes to do the packing. It makes it ideal for when you are short on time. You can also leave all the work to them. As a result, this leaves you to focus on other important aspects of your moving, including making sure that the legal issues are all sorted out. Remember, you may need to do things such as changing your address with your bank and other institutions, moving your medical records and even terminating some of the contracts with utility companies. In some cases, these issues can be complicated, and having to deal with them while having packing pending can take a toll on you. Focusing on one thing while letting the professionals sort out the other will help you get more done in a shorter amount of time. They will also be more likely to do it right. One of the most important determinants of whether items will break is how they are packed. When this is done well, they are likely to last much longer and tolerate more stress during the move. You will have to deal with little to no breakage as a result. A common problem associated with moving is finding that you need special packing materials for oversize and oddly shaped items. High quality moving firms tend to be very good at sorting this out, since they are specialists in the field. Depending on them will ensure that you end up having a very easy time as far as this is concerned. There are many misconceptions surrounding the use of packing services that you should be aware of by the time you are moving. First, always remember that this is a service that you can get even if you don’t intend to use a moving firm. For instance, if you decide to rent your own truck and drive your items to the new location, you can still hire a moving firm to do the packing for you. In summary, the next time you are thinking of moving, you should seriously consider the merits of working with a moving firm even if you are doing the move on your own. As you can see from above, there are many benefits associated with doing so and this will ultimately translate to you getting more value for money. The only trick is making sure that you find a moving company in Toronto you can rely on, since not all may offer the same level of quality. This will translate to getting excellent value for money in the end! ←You Can Make Moving With Toddlers A Breeze By Using These Tips!